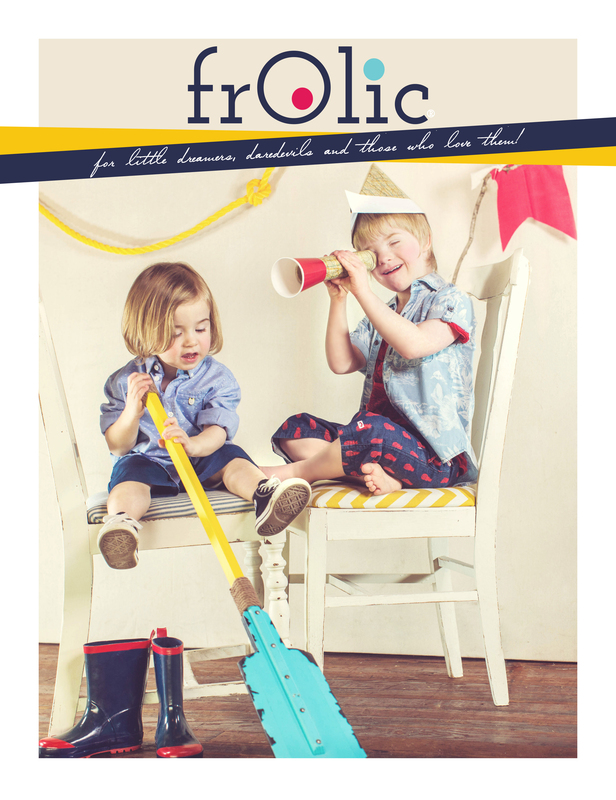 Next up is FrOlic a fantastic style magazine for Moms and their littles. We have not published the magazine with the new imagery yet, so that answer remains to be seen. I will say the support has been off the charts. I think it has affected us personally in so many ways. Spending time with these children and their wonderful parents has truly been educational & a barrel of fun! Because it is awesome! It is one of those ideas that illustrates the quote “the mind stretched by a new idea can never return to it’s original dimensions”. It will become (as is should) the new standard. Pure joy. Their contagious laughter, curiosity and love has as not only brightened our day/life, but watching as the joy spreads like wildfire to all of the models has been a real blessing. We are all beautiful, inside and out. Some of us are are big, some small, some blonde or brunette, in the end it is individuality and expression that make us who we are, amazing!